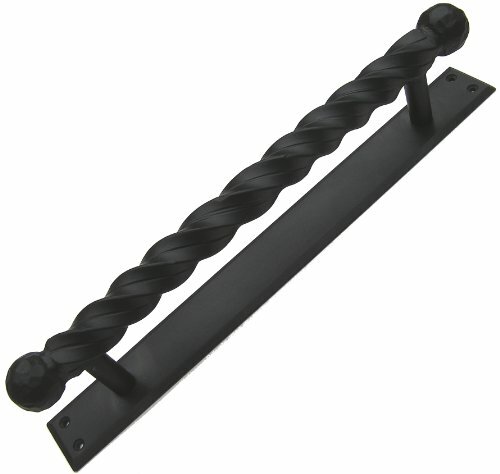 A Wonderful hand-forged solid Las Bolas Pull for doors, gates and other projects. Perfect for rustic and traditional wood gates or doors. Powder coated for high rust resistance. Fasteners included. ------- About Agave Ironworks: The distinctive feeling of hacienda lifestyle will embrace you as you see and touch our products. Our quality handcrafted pieces are made with the hearts and hands of master Hispanic craftsmen.